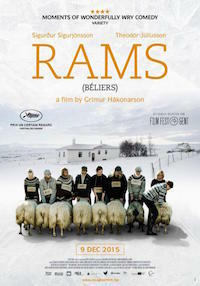 Gummi and Kiddi are brothers, neighbours and rivals, farming sheep in a remote Icelandic valley. They haven’t spoken in 40 years, communicating only through a sheepdog messenger, but must cope with radically changed times when scrapie is found in Gummi’s flock. With its “intensity and deadpan humour”, this tragicomedy, set on the very edge of human civilisation, is a “wonderfully idiosyncratic and moving Cain and Abel-style saga”” (The Independent). Starts at 2:30PM and 7:30PM Click on times to book relevant tickets.